Details on the rumoured HTC One X+ handset have been leaked in documents supposedly from UK carrier O2. The promotional material from the network reveals the One X+ will sported a beefed up, 1.7GHz quad-core processor, up from the 1.5GHz quad-core offering in the international HTC One X and 1.5GHz dual-core chip in the 4G-enabled American One XL. In addition to the extra power, HTC has apparently crammed a whopping 64GB of internal storage into the One X+, putting it up there with the high capacity iPhone 5 and Samsung Galaxy S3. The One X+ will also be treated to the latest version of Android, affectionately known as Jelly Bean, out the box, plus HTC continues its partnership with Dropbox, with 25GB of free cloud storage for customers. However if you're looking for something more ground breaking from the One X+ then you may be disappointed, as there doesn't seem to be anything else new or different between this and the original One X. 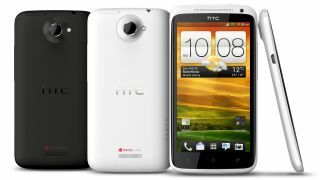 There's no word on the HTC One X+ release date, with the O2 material saying "coming soon", but it does reveal a PAYG price of £479.99 (around $780) – which is considerably cheaper than a 64GB iPhone 5. Update: Two new images claiming to show the front and back of the HTC One X+ have been sent to Pocket-Lint, although there's no big difference between it and the One X. The only change we can see is the Beats logo on the rear is now the circular 'B' instead of the text "beats audio" - big wow.